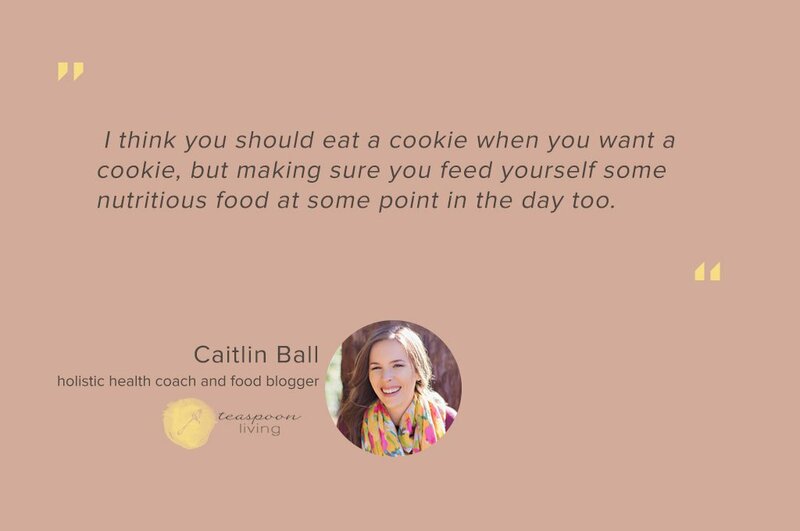 Caitlin is a holistic health coach and food blogger, helping women repair their relationship with food by getting rid of the diet mentality while adding in delicious whole foods and excitement to their life. 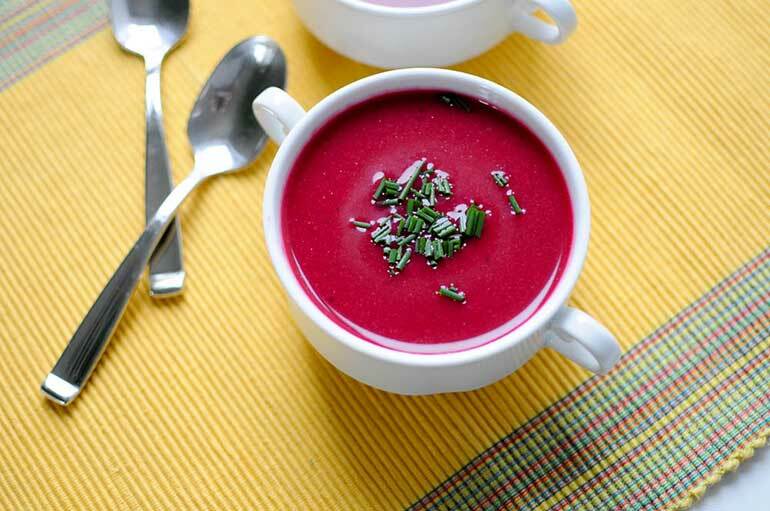 She can’t live without dark chocolate or red wine and doesn’t think anyone should have to!Alternatively, you can visit her blog, teaspoon living, where she shares seasonal, healthy recipes and provides inspiration for a healthy life outside of the kitchen. 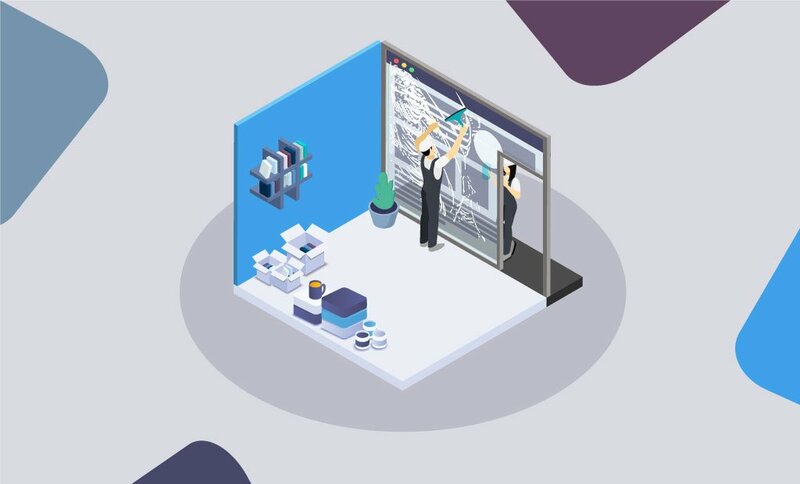 FastComet: Tell us more about yourself and your journey up until now. Caitlin Ball: I’m a San Francisco native, but I’m currently living in Zurich, Switzerland with my husband. We are both American, but are having so much fun living and traveling around Europe for however long we decide to stay here. I’m a health coach and yoga teacher for a living, and in my spare time, you will find me cooking, crafting, or traveling…or drinking tea with a side of dark chocolate. FastComet: How and when did you decided to start teaspoonliving.com? Caitlin Ball: I have had a blog for over five years now, but it started as a baking blog. It was a creative outlet when I got home from my unfulfilling day job. When I moved to Europe, I left my job behind and started yoga teacher training, which led me to become more interested in nutrition. This lead me to health coaching school, which inspired me to make the change from a baking blog to the healthy living blog I have now! It has been teaspoonliving.com for a year now, and I have a completely renewed energy for the blog now that it is part of my health coaching business. FastComet: What other practices do you follow in order to have a healthy life? 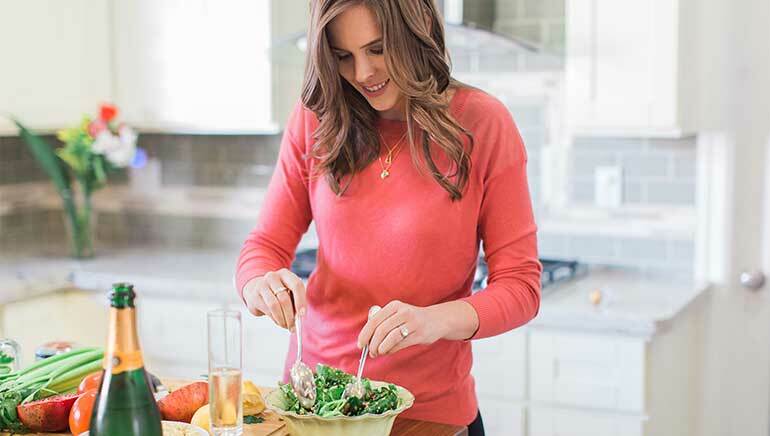 Caitlin Ball: I have two health practices that I live by. First, is that there are no restrictions or guilt when it comes to eating. I dieted for 15 years, and once I finally learned that dieting is not the answer to a healthy life, I will never go back to that restrictive way of eating. My second practice is that I eat real food first, or rather most of the time. I know that real, whole, unprocessed foods make me feel my best, so I make sure I find a way to fit in healthy food every single day. I also make sure that whatever I am eating tastes absolutely delicious, no matter how healthy or unhealthy it is, so I’m completely satisfied. FastComet: Tell us more about the group courses you offer. Caitlin Ball: I offer two group courses at different times of the year. The one coming up soon is called Real Food First, and it’s the winter edition. It is 4 weeks of meal plans with shopping lists and a meal prep guide to help you reduce your time in the kitchen. It also includes a healthy habits challenge and private group support. The idea behind the program is to start making healthy cooking and healthy habits a part of your routine. The meal plans are suggested, but not restrictive! I think you should eat a cookie when you want a cookie, but making sure you feed yourself some nutritious food at some point in the day too. I offer this program a few times a year, with new, seasonal meal plans. The next one starts January 20th! If you are interested in this program, sign up for the waitlist here so I can send you more info and special offers on it. The other course I offer is called “Quit Dieting for Good”. This program is meant for women that have tried many restrictive diets and haven’t had the lasting results they desire. 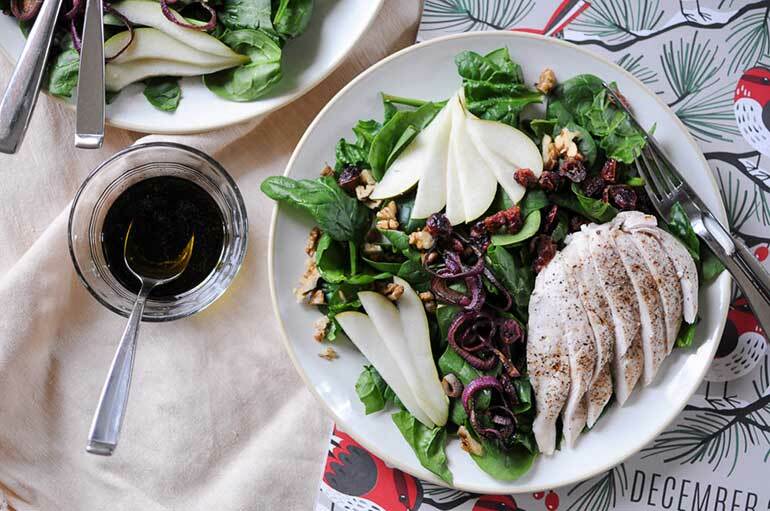 The course is designed to help women change their all-or-nothing diet mindset around eating (the one that dieting instills in us), to a less restrictive mindset that allows a freedom around food, and makes food fun again. I teach intuitive eating, which means that they learn to check in and listen to what their body needs, and feed their body based on how they want to feel. They learn to care for themselves in more ways than with food so that they have less dependence on food when life is difficult. Dates for this group course are TBD in 2017, but I have a free guide to get you started on this way of eating if it interests you. I also do private health coaching for women with these particular struggles and currently have a few open spots. FastComet: Winter is upon us, so we were very delighted to see that you offer a “winter meal plan”. Can you share more details about that with our viewers? Caitlin Ball: The Winter Meal Plan is now rolled into the Real Food First program, as talked about above. This will go on sale on January 9th, so please sign up here if you would like to join the waitlist! I’d also love to give FastComet readers 10% off, so just type in FASTCOMET as the promo code. On December 1st you start a new Free Program to keep holiday eating clean and healthy. Who can benefit from it and how exactly will you proceed with the program? Yes, the 12 Days of Healthy Christmas! It’s a free program, following the tune of the 12 Days of Christmas song, with daily emails to keep you inspired and motivated to continue your healthy habits this holiday season. I think everyone should be able to enjoy their favorite foods during the holidays, but it’s easy to go overboard, which I want to help you stay clear of. There are also some really awesome daily prizes, open to anyone that joins, so I encourage all to sign up! 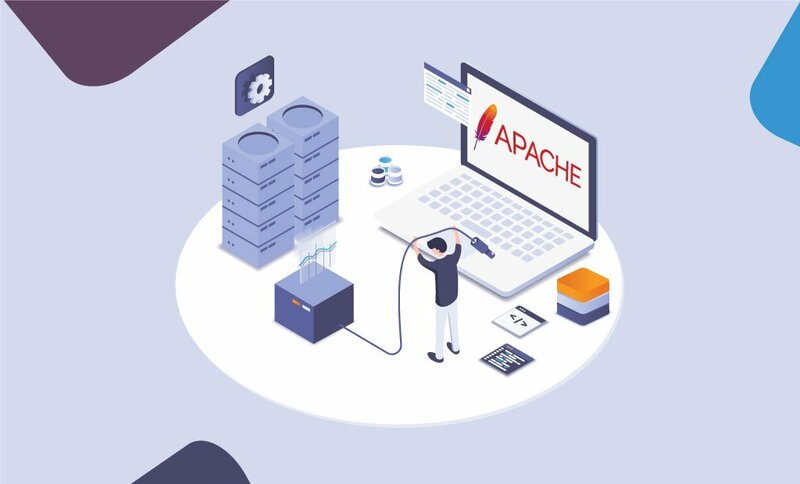 FastComet: What do you think of the quality of services we offer? Caitlin Ball: I have been SOO happy with FastComet. I am totally tech-unsavvy and the customer service that FastComet provides far exceeds my past service provider (on which I also paid double the price for monthly service!). As soon as anything goes wrong, or isn’t working right, I know I can easily get my site fixed with their help. It’s refreshing to know this, because I didn’t feel this way in past years. FastComet: Have you tested the local hosting providers in Zurich and if you did – how do we match up to them? Caitlin Ball: I haven’t tested local Zurich providers, but like I said, I did use another service based out of the US before and the hosting was fine, but I could never get a hold of them if there was a problem, which is when you need to get a hold of them! 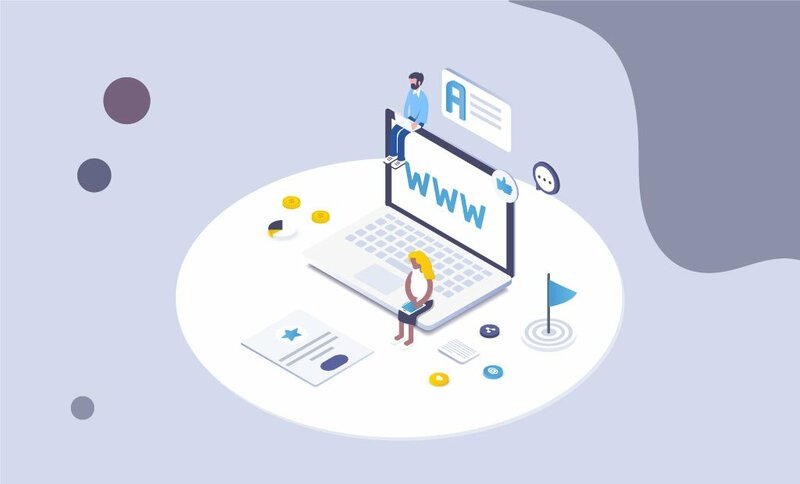 FastComet: Did you find it challenging to start a website and can you give bits of advice related to this to other people sharing your passion. Caitlin Ball: I find it super challenging to deal with setting up a website. Which is why I hired help! My web designer was the one that recommended FastComet and I’m glad he did. It would have taken me 10x the amount of hours to setup the nice website I have now and that is not worth it to me. My advice to fellow small business owners is that if setting up a website doesn’t come naturally to you, hire someone to do it and save your energy for what you are passionate about. And for me, I’m passionate about helping people with their health, not about website design. FastComet: Did we miss anything? If you want to share something else with our audience, now is a perfect time. Caitlin Ball: I think that there is no better time than now to start updating and upgrading your healthy habits, just as you do your website on a regular basis. Don’t wait until something goes wrong, just start making simple changes today – like adding more veggies to your daily diet, drinking more water, taking the stairs instead of the elevator. You don’t have to go to the gym every day and eat a perfectly “clean” diet to be healthy. Find a good balance that works for you. We would like to express our gratitude to Caitlin, for her participation in this spotlight and promoting a healthy lifestyle. 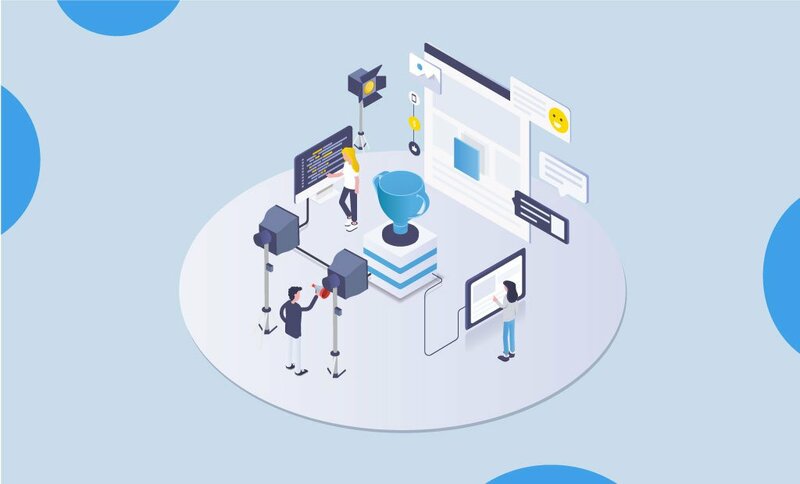 If you would like to tell the story behind your project and how FastComet helped you in making it a reality, please let us know. Your success is what matters most to us.